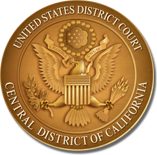 To comply with new 9th Circuit capital habeas budget reporting requirements, those capital habeas attorneys currently utilizing paralegals and/or law clerks and who bill these fees as expenses on the CJA 30 voucher form must now submit these fees on a CJA 31 voucher form (available on the Court's website). A court order authorizing the utilization of paralegals and/or law clerks must be attached to each CJA 31 voucher submitted. If you are included in the above situation and do not have a court order authorizing the use of paralegals and/or law clerks, you must now obtain such authorization.